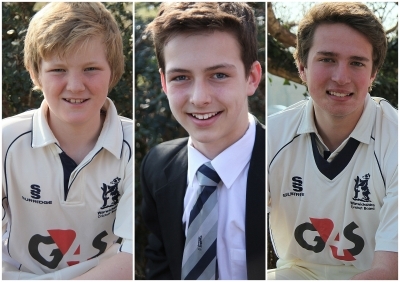 'Sparkling performances for school, club and County were witnessed by Bablake`s Cricket Scholarship Trustees over the summer, so we are delighted to announce the following first-time awards to Daniel Mousley, Matthew Payne and Daniel Smith. Well done, lads! In addition we have been excited to learn that Warwickshire has recognised the potential of current cricket scholar Ross Parnell as well as new scholar Daniel Mousley. Both have been invited to join the highly-prestigious County EPP (Emerging Players` Programme). Former Bablake cricket scholar Ryan Parnell has been spending his gap year in Australia as a cricket professional, while Warwickshire U19 player Mark Best has already made his mark on Loughborough University's cricket since arriving there this Autumn.